Honey Roasted Pecans 8 oz. Creme Brulee Pecans 8 oz. Roasted & Salted Pecans 8 oz. Milk Chocolate Covered Pecans 8 oz. 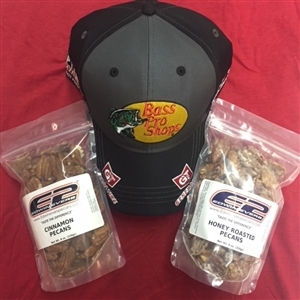 E2 Package - Hat & 2 Pecans 8 oz.